Live Rust take the stage with amazing attention to detail, not only on Neil Young’s distinctive sound and appearance, but also using specific instruments to make it the most memorable tribute to this Canadian icon. Live Rust capture the feel and essence of experiencing a Neil Young concert. These seasoned musicians truly understand and appreciate the music they are playing, leaving even the biggest Neil Young Fans astounded by the authenticity in their performance. Neil Young is considered one the greatest songwriters of all time and this band pay tribute to a musician who has twice been inducted into the Rock & Roll Hall of Fame. In the classic “Crazy Horse” configuration of two guitars, bass and drums, Live Rust cover everything from his early fame with Buffalo Springfield and CSNY, through his solo work with every band he has ever put together. 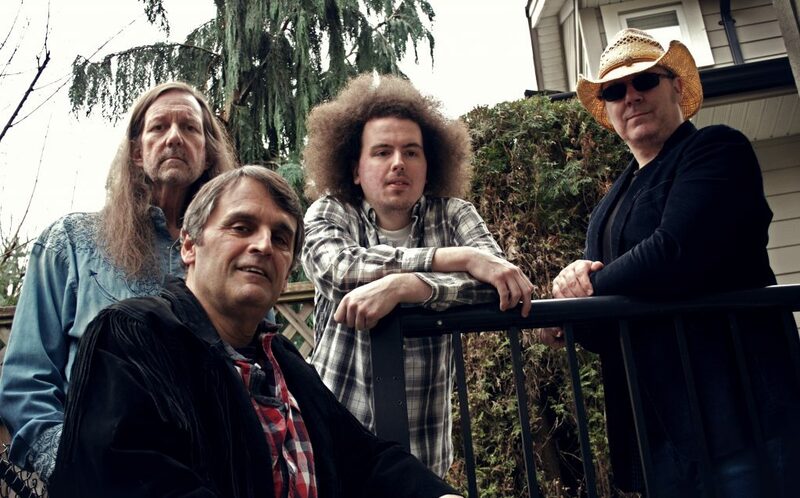 With a lineup featuring some of British Columbia’s best players, you’ll soon see and hear why Live Rust are North America’s premier tribute to Neil Young. The band is Roger Potter on vocals, guitar and harmonica and John Haynes on vocals, guitar and pedal steel guitar. Shane Langridge on vocals and bass and Joe Backus on drums joins them.